As you might have guessed, I am the office baker (or depending on the day, the feeder or enabler!) and I bring in goodies almost every week for my colleagues. But every now and again, someone else turns up with a recipe of their own which is so delicious, I just have to try it out myself! This is a great example. 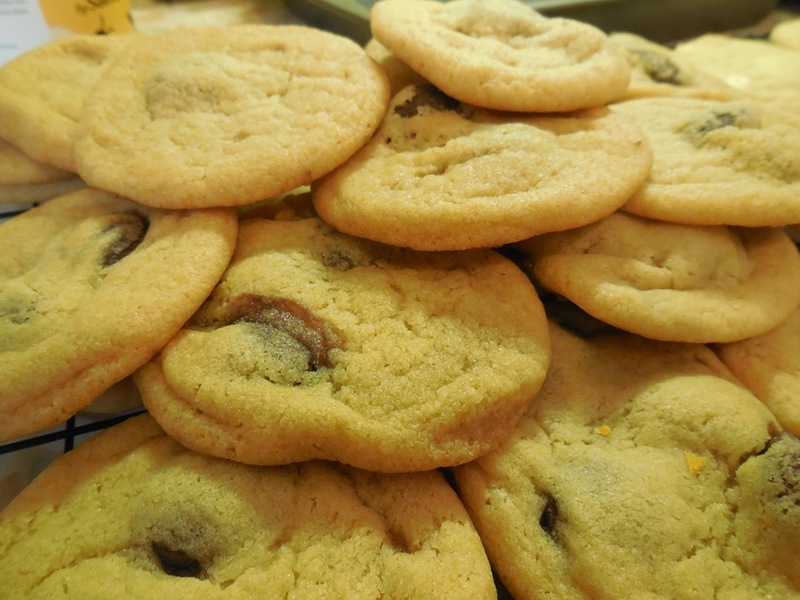 A friend of mine brought some cookies to work that she had baked – they were the best I have ever tasted and I had to ask her for the recipe. She originally used Smarties in the recipe but she also tried it with Minstrels (one of my favourite sweets), which worked brilliantly so this is what I have used in the recipe below. You can of course experiment with other sweets and chocolates of your choice; personally, I think chocolate always works best! Cream the butter and sugar together, then stir in the golden syrup. Mix in half the flour. Add the rest of the flour and the Minstrels, mix and then knead together. Divide the mixture into apricot sized balls and place them on the baking tray, ensuring you space them apart. You should fit about 6 balls onto one baking tray. Place in the oven for 12 minutes until they turn golden around the edges. Leave to cool and transfer onto a cooling rack. Try adding chopped up white chocolate to the recipe instead of minstrels – delicious! Great with a tea or coffee, of course! And if you have the ingredients in your cupboard, the cookies can be done in the time it takes to drive to the supermarket and back!